To celebrate its 30th anniversary in 2012, the Norfolk Southern Railway painted 20 freight diesels in paint schemes honoring its predecessor railroads. Eleven of the prototype schemes were applied to EMD SD70ACe locomotives at Progress Rail Services' shops in Muncie, IN. Norfolk Southern employees at its Chattanooga, TN and Altoona, PA shops applied the remaining nine heritage schemes to General Electric ES44AC diesels. 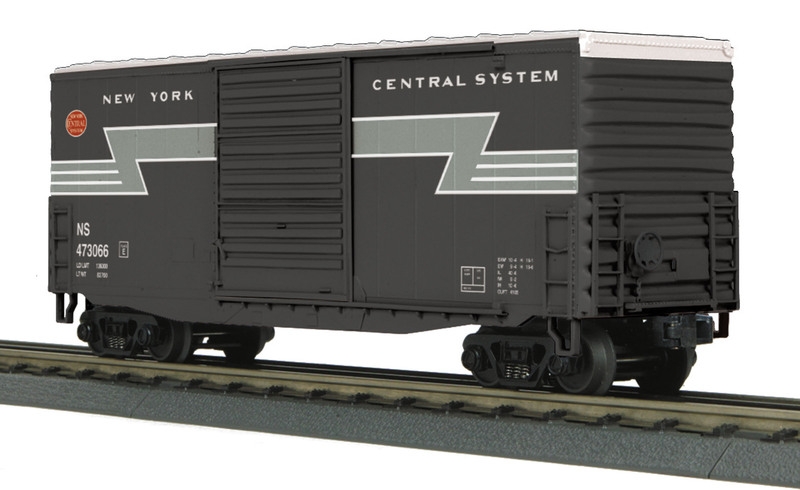 While companion box cars were not created by the Norfolk Southern, these cars depict what might have been. They can serve as a fitting complement to our RailKing models of the 20 Heritage diesels, or simply a depiction of how your favorite "Fallen Flag" railroad might have painted a modern box car.